You might know this as a Butter Crumshus Coffee Cake. 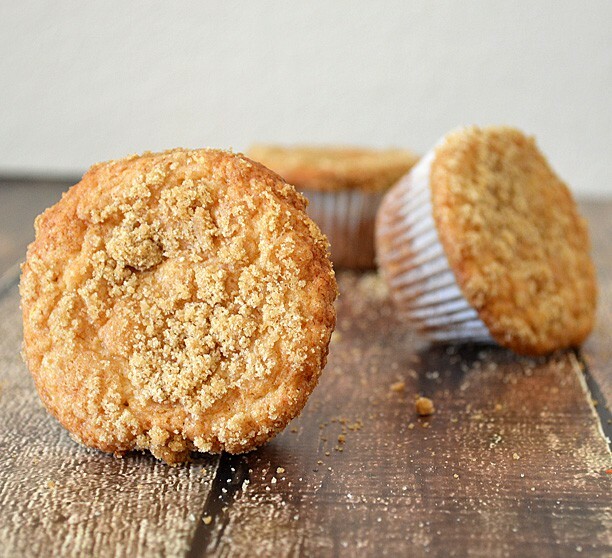 We’ve made this simple butter crumb coffee cake into individual portions using cupcake wrappers. 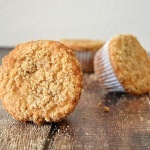 Similar to a crumb or streusel cake, this is topped with a vegan butter, sugar and flour mixture which creates a crisp exterior. 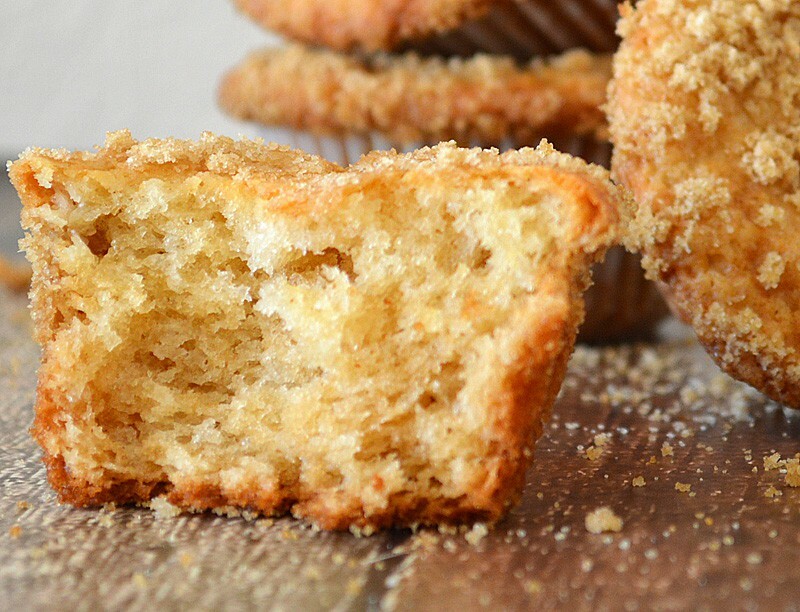 Inside, it’s moist and crumbly … and delicious! Generously grease and flour the bottom and sides of an 8x8" square baking pan (or you can use cupcake liners and a muffin pan as we did here). In the bowl of an electric mixer, add the margarine and cream cheese. Beat until light and fluffy. Incorporate the applesauce. This is our egg substitute, but you can also use Ener-G or silken tofu here. Applesauce just gives a little bit of added sweetness and creates a lighter finished cake than the tofu. Combine the dry ingredients and add to the mixer. Mix until just combined. Evenly spread in the prepared pan or cupcake liners. For the topping, mix together the brown sugar and flour. Add cold margarine and using your fingers, work it until it resembles coarse crumbs. Sprinkle evenly over the cake(s). Bake for 30-40 minutes if doing the 8" square or 20-25 minutes if doing the muffins. Use a toothpick to test for doneness. The tops will be golden.